by similar SAE viscosity grade mineral oils. SN/SM/SL/CF and is suitable for use in Opel GM-LL B-025 and Renault 0700, 0710. 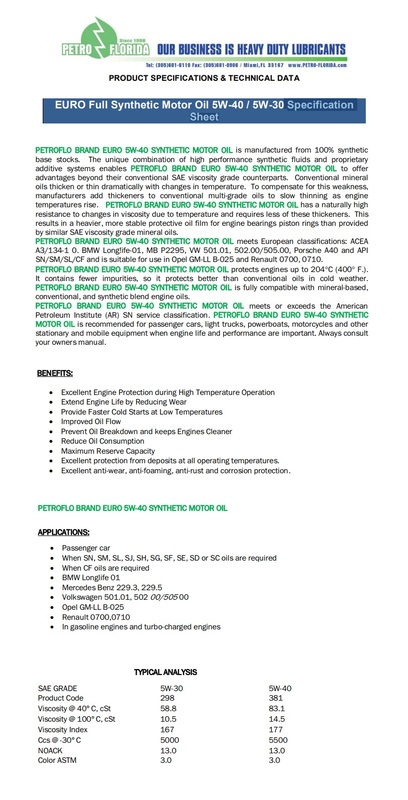 PETROFLO BRAND EURO 5W-40 SYNTHETIC MOTOR OIL protects engines up to 204°C (400° F.). It contains fewer impurities, so it protects better than conventional oils in cold weather.